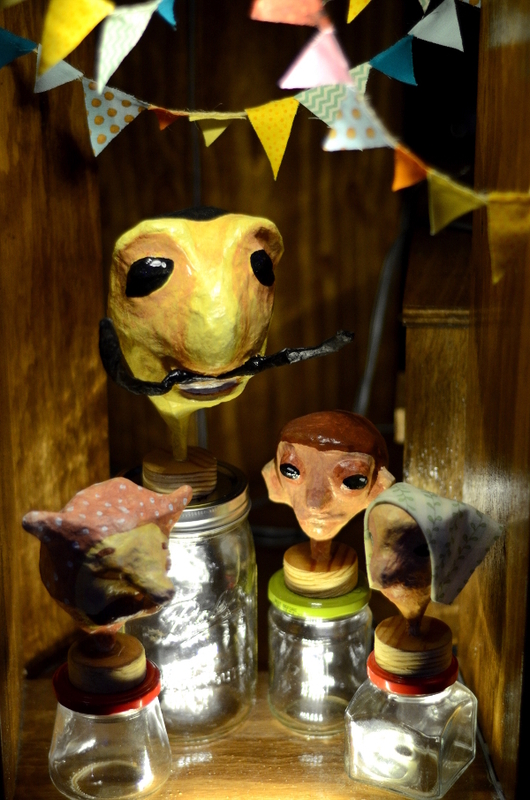 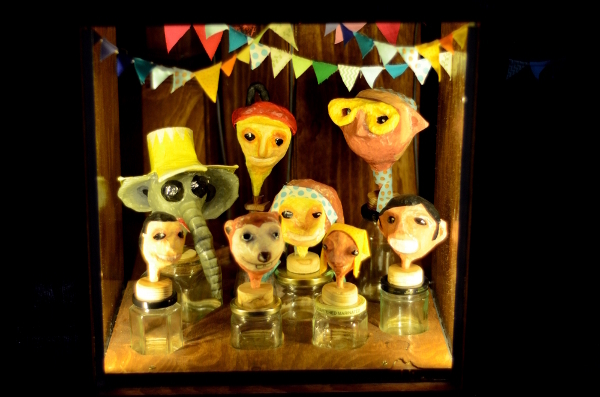 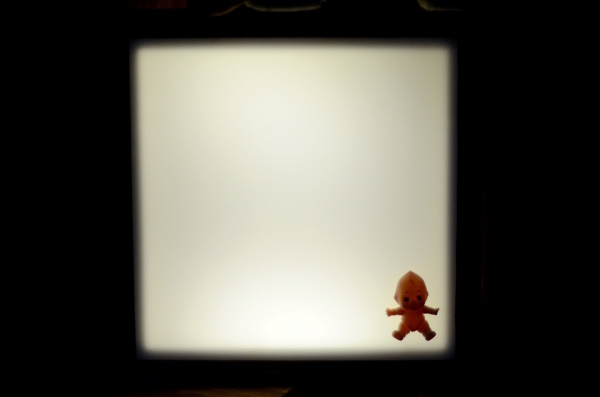 A collaboration with Papermoon Puppet Theatre from Indonesia. 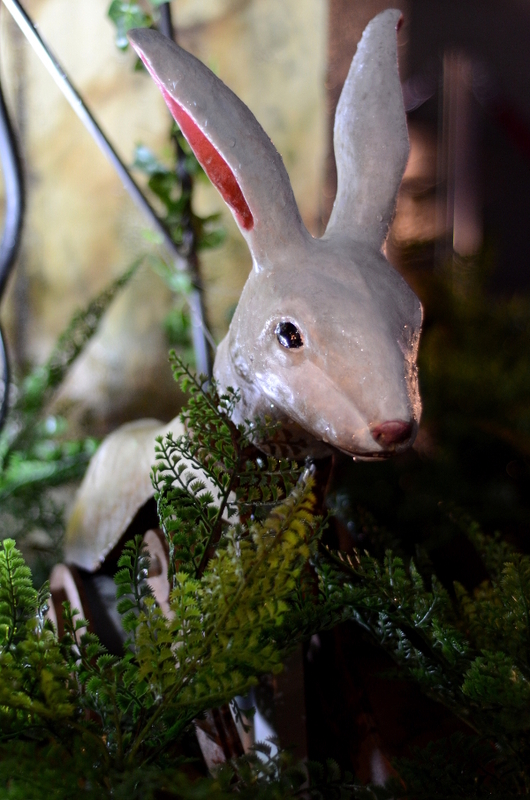 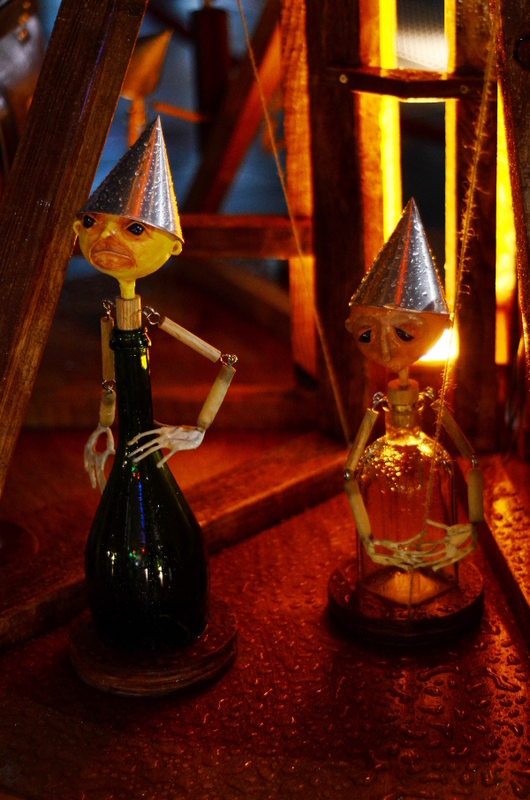 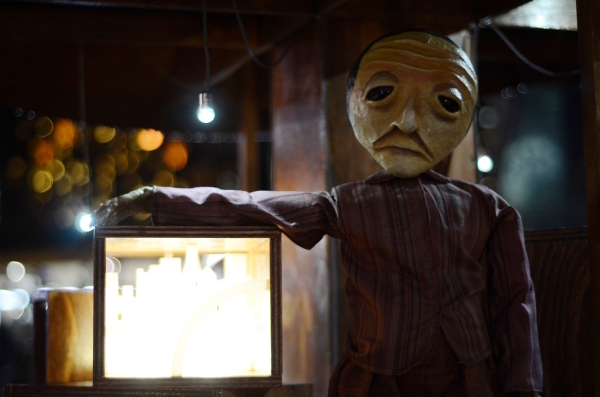 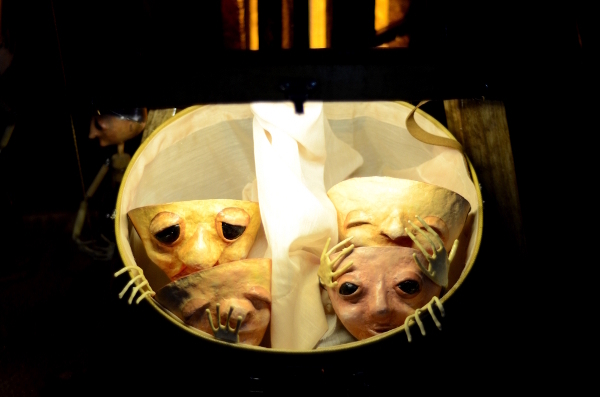 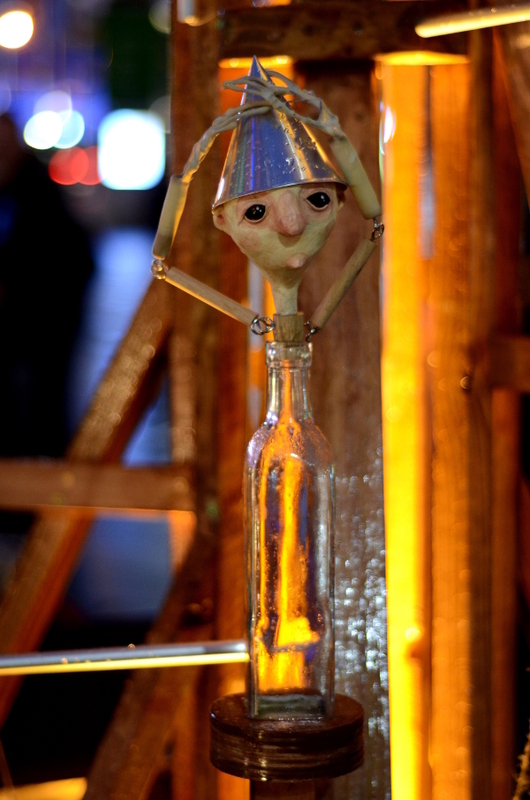 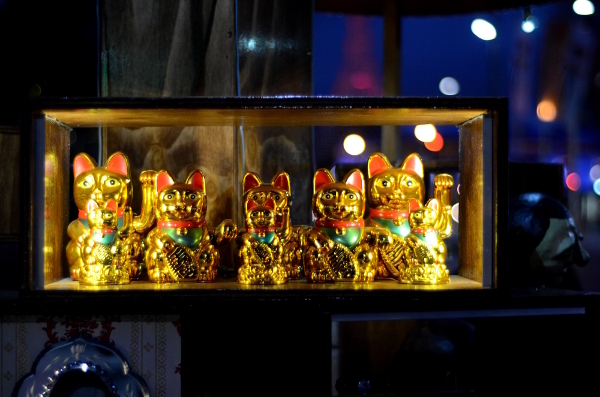 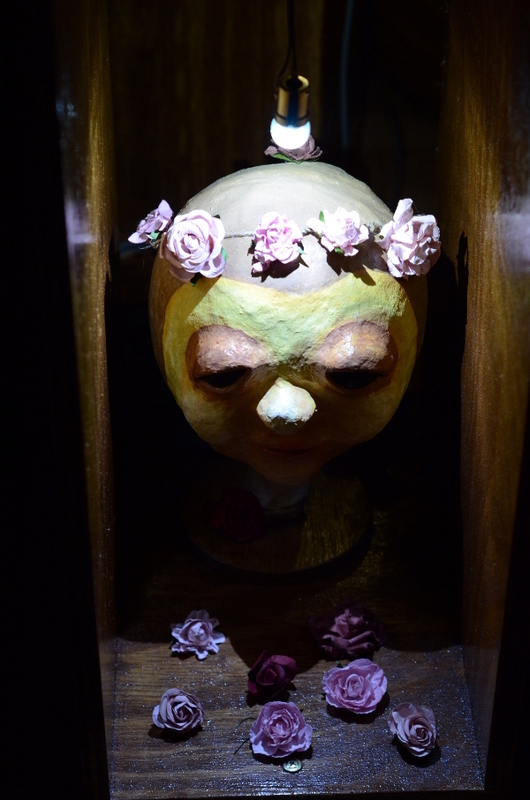 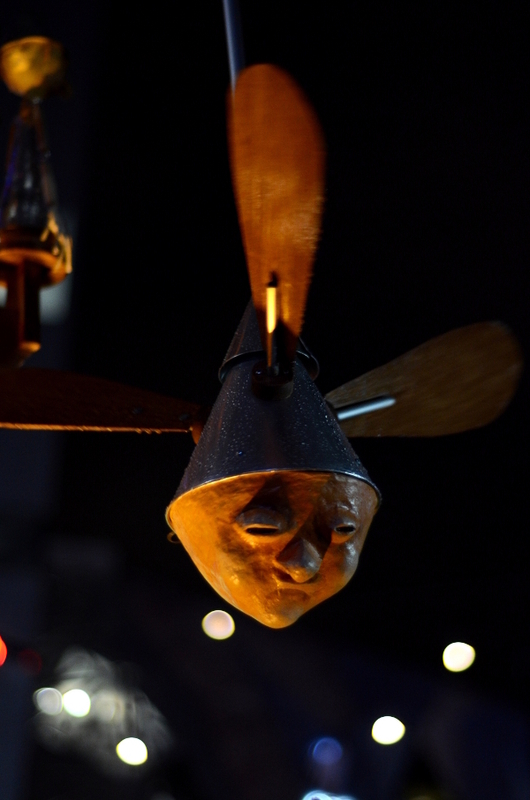 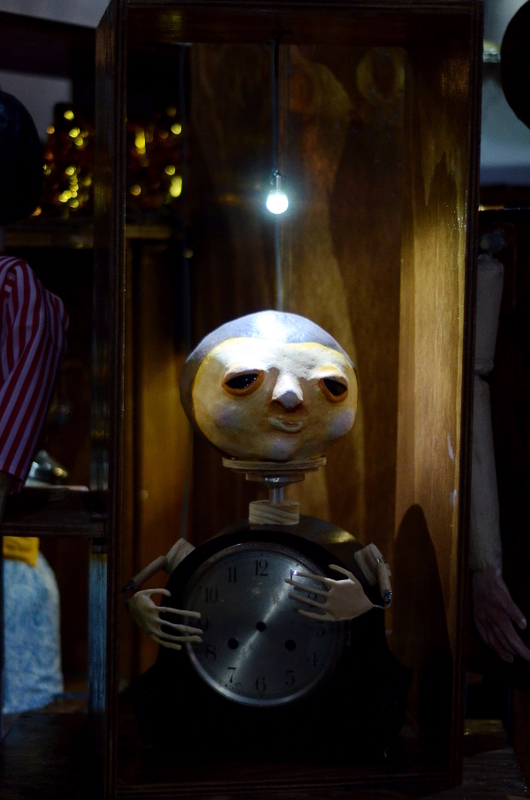 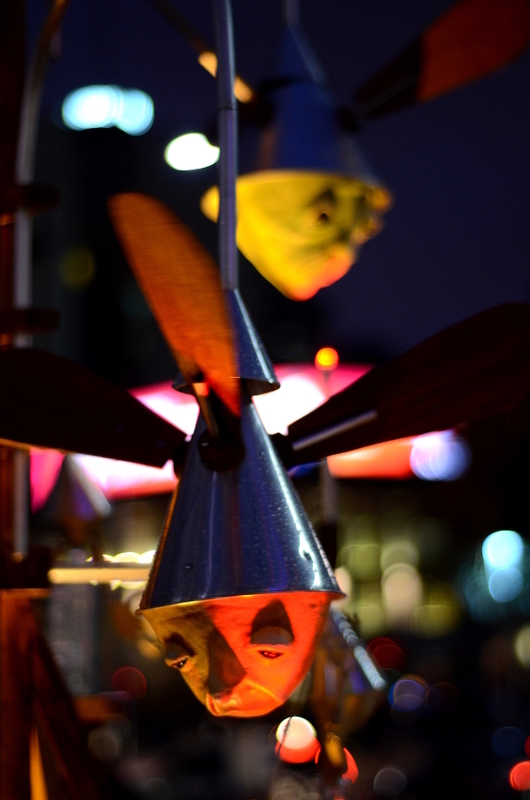 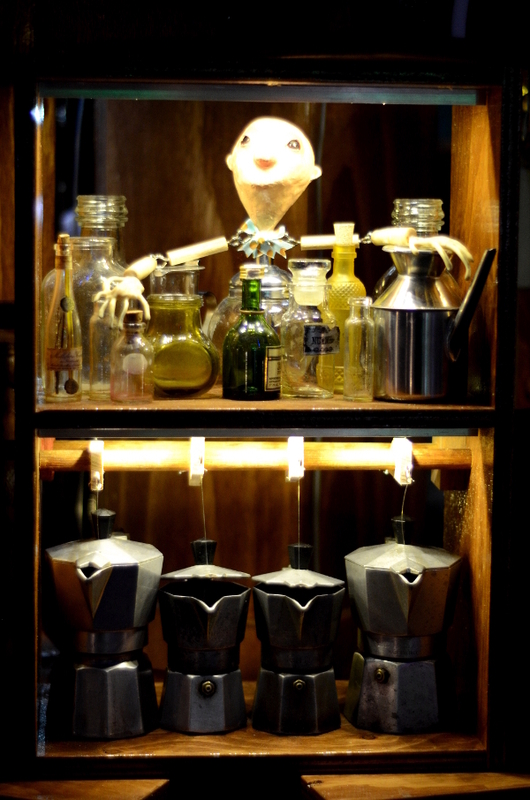 Three sculptures of handmade puppetry and electromechanical theatre, presenting as shrines to past, present and future. 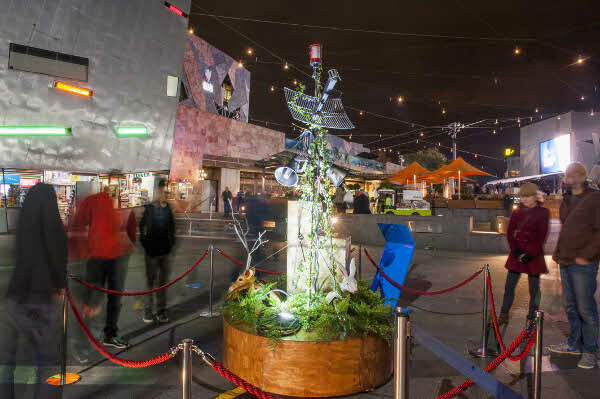 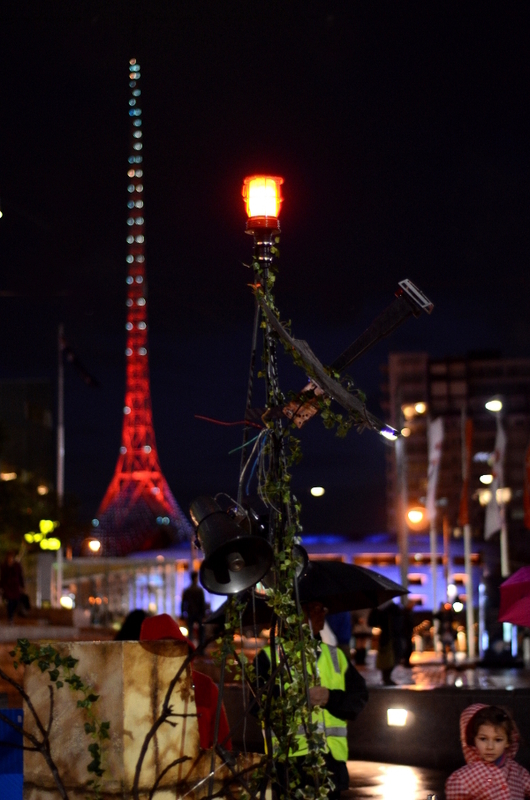 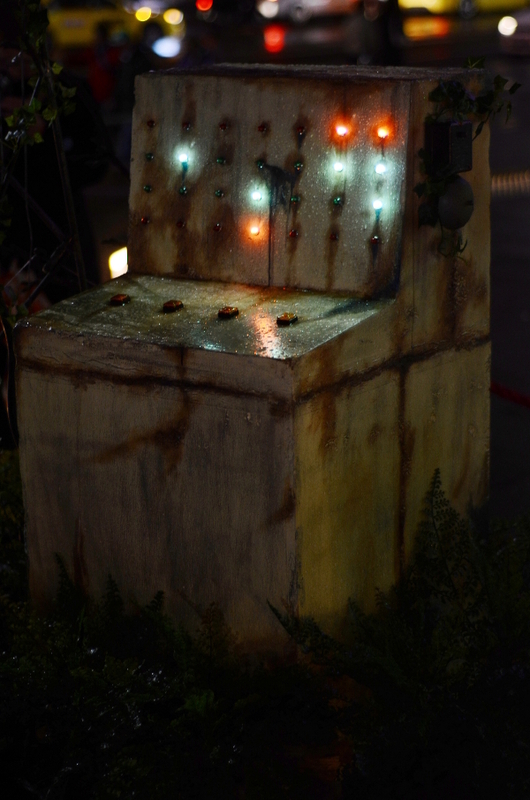 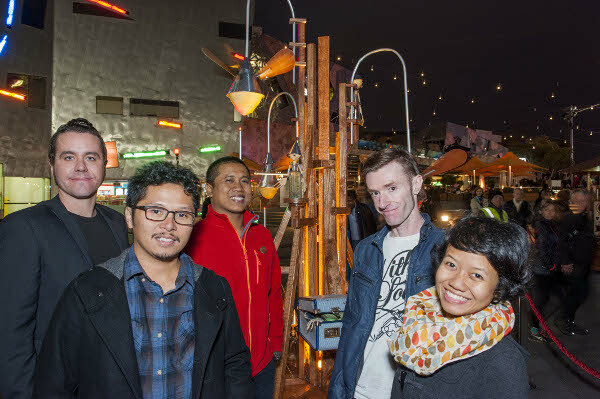 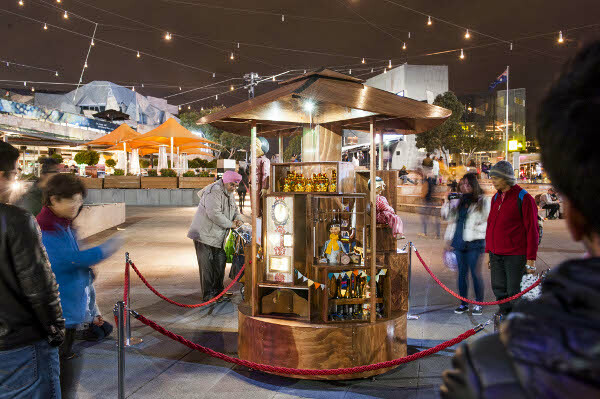 Co-commissioned by Federation Square and City of Melbourne appearing as part of Light In Winter 13-22 June 2014. 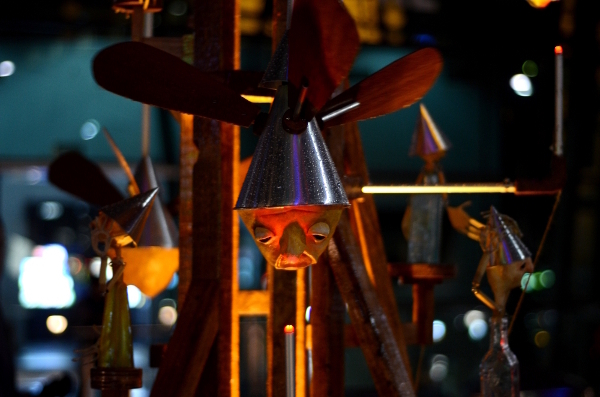 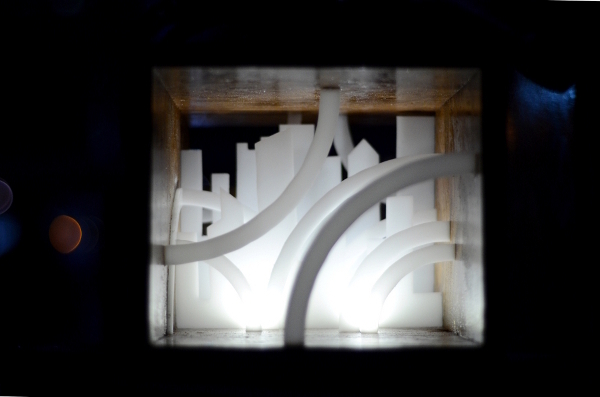 Anachron’s illuminated sculptures are clever combinations of electromechanical mastery and kinetic technology. 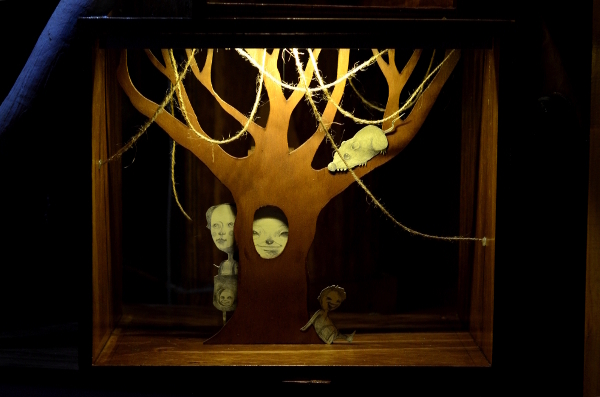 Each has its own identity representing past, present and future, yet together they create a circular loop of time. 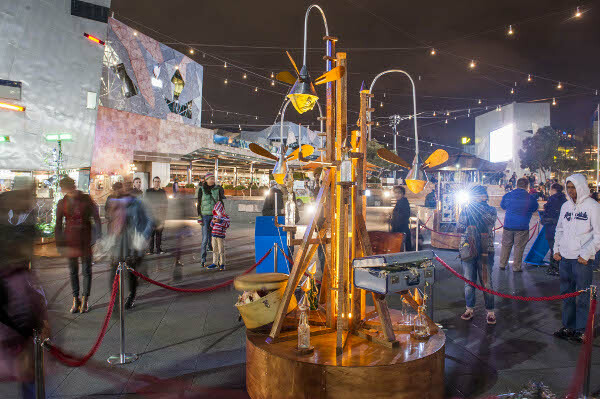 Like animated cabinets of curiosity, the moving sculptures are endlessly fascinating with their myriad of stimulants to feed the imagination. 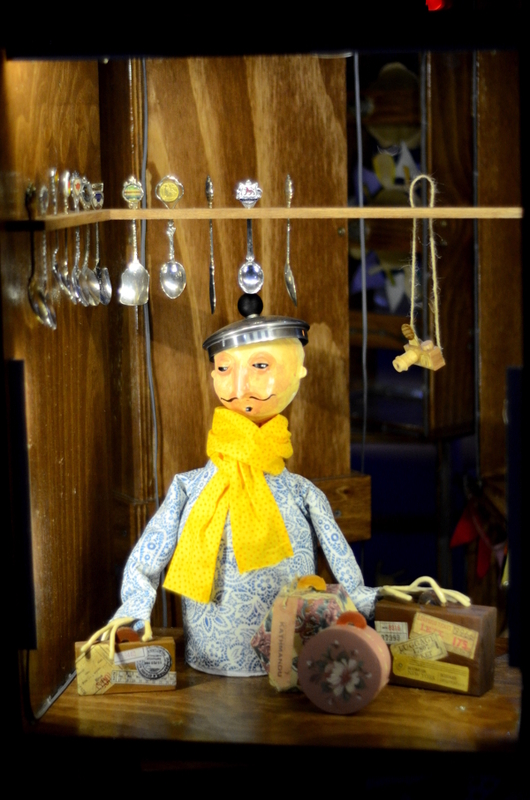 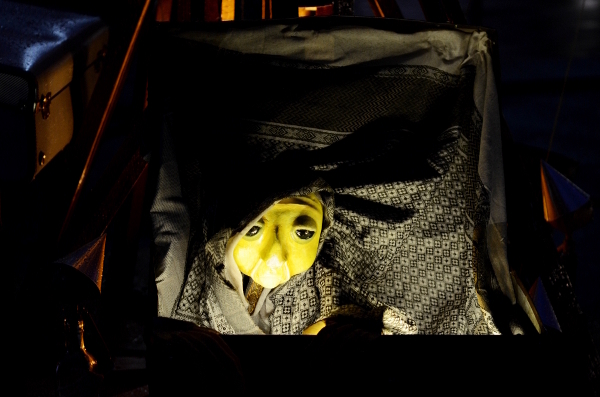 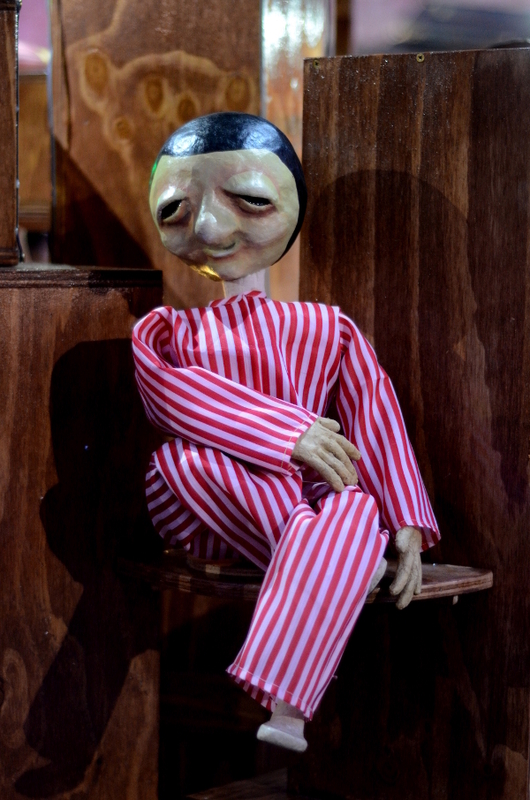 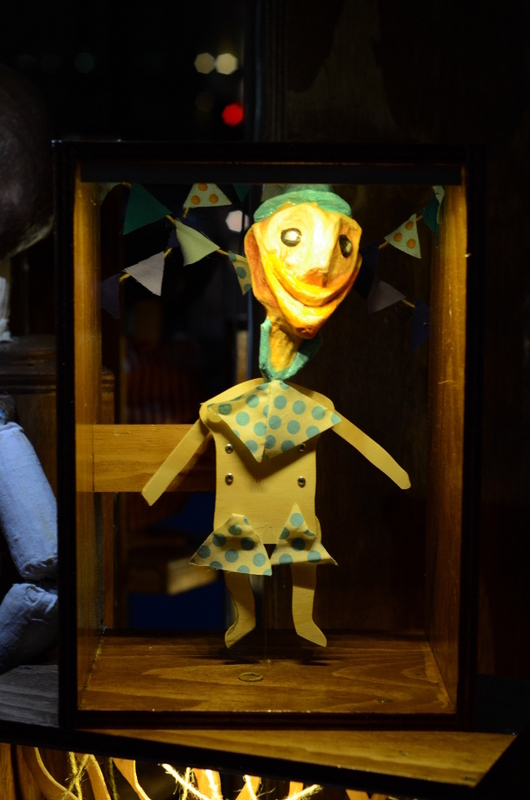 Anachron has been created in consultation with some of The Light in Winter’s artistic and cultural groups, mentored by Papermoon Puppet Theatre and Cake Industries.